Korean electronics giant, Samsung Electronics is about to launch their all new handset in Indian markets. The handset is called Samsung Wave 578 and it is expected to be launched by May 2011. The handset was announced in February 2011 and the price is not yet announced. Samsung Wave 578 is having several very good features like messaging, browsing, SNS integration etc. The handset is having a revolutionary feature in the mobile phone communication called Near Field Communication or NFC. The other features include the music recognition, organizer, document viewer, image editor, voice memo predictive text etc. The handset is having a very good media player. It supports a wide variety of formats like MP3/ WAV/eAAC+/MP4/H.263/H.264. The music recognition easily updates the details of the song from web while it is playing back. 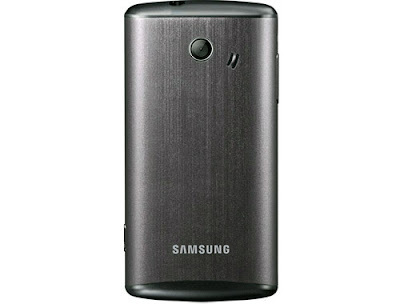 Specifically, the Samsung Wave 578 is based on 2G network GSM 850 / 900 / 1800 / 1900 and 3G network HSDPA 900 / 2100. The handset runs on Samsung’s own operating system called Bada OS. It is having dual camera with the primary camera 3.15 mega pixels at a resolution of 2048x1536 pixels. It is also having features like geo-tagging. The video recording using that camera is little bit good. It is offering a QVGA resolution at 20 frames per second. There is a secondary VGA camera in order to make video chat. 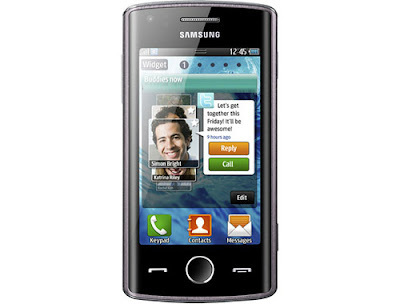 The Samsung Wave 578 is also having rich connectivity and data transfer options. The connectivity is through Bluetooth and USB. The data transfer is done through 3G, GPRS and EDGE. The handset also offers relatively very good sound. The audio is allowed to feed to an external output through a 3.5 mm headset jack, which is the universal connector. The handset also has an inbuilt memory of 100 MB. It can also be expanded up to 16GB with the help of a micro SD memory card. The display is the most attracting feature of this handset. It is having a 3.2 inch display with resolution 240x400 pixels. The display includes some additional features like accelerometer sensor for auto-rotate, touch-wiz user interface version 3.0 and the proximity sensor. Samsung is the second largest handset maker in the nation with Nokia as the leading brand. Samsung is always introducing high quality brands in to the Indian market in order to be a market leader. The company always introduces new features in to the Indian market, just as they introduce the 1st Android handset in India. They are in a big competition with Nokia handsets on its course to rule the Indian market.